SACRAMENTO, Calif. /California Newswire/ — In an open letter that ran as a full page ad in today’s Sacramento Bee, elected leaders from six of California’s eight largest cities called on California Governor Jerry Brown and the State Legislature to include prevailing wage standards in state housing reforms. The ad was paid for by Smart Cities Prevail (SCP). The Legislature is currently considering a range of proposals aimed at combating California’s persistent housing affordability crisis. Click Here to View the Ad (PDF): http://www.smartcitiesprevail.org/wp-content/uploads/sites/24/2017/05/SacBeeAd.pdf. 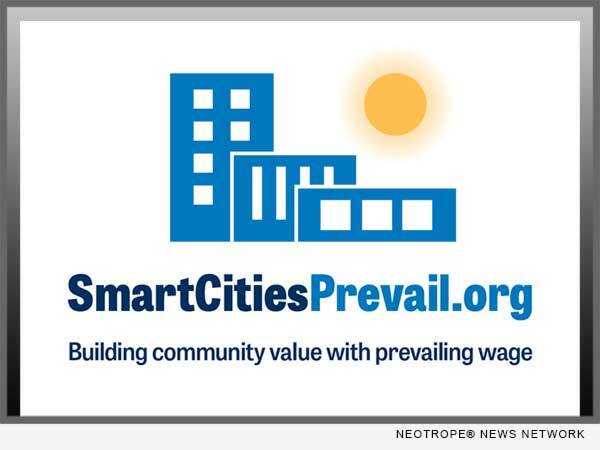 Smart Cities Prevail (SCP) is a non-profit research organization that focuses on wage policies and contracting standards in the construction industry. The ad was signed by a group of local elected officials from the cities of San Diego, Los Angeles, San Jose, San Francisco, Oakland, and Sacramento. The ad references ongoing efforts to streamline more housing development – with several proposals under consideration to combat California’s persistent housing affordability crisis again this year. Utilizing Economic Census data and industry standard data analysis, this study highlights how a variety of factors are contributing to California’s housing affordability crisis-including significant increases in profits for developers and builders, shrinking wages for blue-collar construction workers, and declining productivity for the construction industry as a whole. It concludes that including prevailing wage standards in state housing reforms would help the industry attract and develop the skills needed to boost housing supply, while also helping to close the affordability gap for working families, reducing racial disparities in pay, and saving taxpayers tens of millions of dollars per year by reducing reliance on public assistance. Smart Cities Prevail has also posted today’s open letter online. Members of the public who want to lend their voice in support of including prevailing wage in state housing reforms can do so at: http://www.smartcitiesprevail.org/housingpetition/. Smart Cities Prevail is a leading national non-profit research and education organization focused on the construction industry. Learn more at http://www.smartcitiesprevail.org, or by following us on Facebook (https://www.facebook.com/SmartCitiesPrevail) or Twitter (https://twitter.com/cacitiesprevail). Text based on press release as issued by Smart Cities Prevail.